Southern Image won the 7 furlong Grade 1 Malibu as a three-year-old. He also won the $1,000,000 Grade 1 Santa Anita H. and the Grade 1 Pimlico Special as a four-year-old, earning118 Beyer Speed Figure. Won the $1,000,000 Sunshine Millions Classic. Won 6 out of 8 starts, earning $1,843,750, and never placed off the board. First two California-sired crops are off to the races with SW BETTER BET ($261,620), on-the-board to CALIFORNIA CHROME 4-times, winner of the $200,000 Golden State Juvenile S. besting Grade 1 SW TAMARANDO; ABETS ABET, current 2YO 4th in $100,000 Cinderella S.; etc. $13.8 million in progeny earnings and over $56,000 average per starter. SOUTHERN SPEED (AUS) (2007 f, by =Zabeel (NZ)) 1st Vanity S. [G3] (AUS), 1st Caulfield Cup S. [G1] (AUS), 1st V. R. C. Makybe Diva S. [G2] (AUS), 1st Penny Edition S. (AUS), 1st John Dillon S. (AUS), 2nd Underwood S. [G1] (AUS), 2nd Auraria S. [G3] (AUS), 2nd C F Orr S. [G1] (AUS), 2nd V.R.C. Australian Cup S. [G1] (AUS), 3rd Australasian Oaks [G1] (AUS), 3rd S.A.J.C. Spring S. [G3] (AUS). CALIBRACHOA (2007 c, by Montbrook) In US, 10 wins, 2 to 5, $666,040 (US SSI = 11.56): 20. 1st Tom Fool H. [G3] ($200,000, AQU), 1st Tom Fool H. [G3] ($150,000, AQU), 1st Toboggan S. [G3] ($150,000, AQU), 1st Bold Ruler S. [G3] ($100,000, AQU), 1st Toboggan S. [G3] ($98,000, AQU), 1st Gravesend S. ($39,000, AQU) $65,000, 3rd Alfred G. Vanderbilt H. [G1] ($250,000, SAR), 3rd Cigar Mile H. [G1] ($250,000, AQU), 3rd True North H. [G2] ($250,000, BEL). WINNING IMAGE (2007 f, by Apollo) In US, 14 wins, 2 to 7, $750,237 (US SSI = 8.55): 34. 1st My Juliet S. [L] ($90,000, PRX) $150,000, 1st Willa On the Move S. [L] ($60,000, LRL) $100,000, 1st Sweet and Sassy S. [L] ($60,000, DEL) $100,125, 1st What a Summer S. ($60,000, LRL) $100,000, 1st Primonetta S. ($60,000, PIM) $100,000, 1st My Juliet S. [L] ($44,600, PRX) $68,385, 1st Cornucopia S. [L] ($43,900, PRX) $77,500, 1st Cornucopia S. [L] ($43,400, PRX) $75,000, 1st Langhorne S. [L] ($43,400, PRX) $75,000, 1st Dashing Beauty S. ($30,000, DEL) $50,000, 2nd Endine S. [L] ($20,000, DEL) $100,125, 2nd Daylily S. [L] ($20,000, PEN) $100,000, 2nd Sweet and Sassy S. [L] ($20,000, DEL) $107,750, 2nd Garland of Roses S. ($20,000, AQU) $100,000, 2nd Interborough S. [L] ($15,000, AQU) $75,000, 2nd Finger Lakes Juvenile Fillies S. ($10,000, FL) $50,000, 3rd Sweet and Sassy S. [L] ($16,500, DEL) $145,500, 3rd Skipat S. [L] ($10,200, PIM) $100,000, 3rd Mongo Queen S. ($7,200, MTH) $61,200, 3rd Dashing Beauty S. ($5,670, DEL) $50,000. SMOKEY IMAGE (2013 c by Free House) 6 wins in 6 starts, 2 to 3, $488,601, Champion California-bred Two-Year-Old Male, California Cup Derby S., Golden State Juvenile, I’m Smokin S., Cavonnier Juvenile S., Everett Nevin S., 3rd Lazaro Barrera S. [G3]. BETTER BET (2011 g, by Swiss Yodeler) In US, 5, wins at 2 to 5, $317,562 (US SSI = 3.14): 16. 1st Golden State Juvenile S.-R ($110,000, SA) $200,250. HIP FOUR SIXTYNINE (2010 c, by Mt. Livermore) In US, 5 wins at 3 and 5, $254,177 (US SSI = 2.83): 24. 1st Sam’s Town S.-R ($45,000, DED) $75,000, 1st Fremont S. [N] ($42,000, DED) $70,000, 2nd Texas Mile S. [G3] ($200,000, LS), 3rd King Cotton S. ($10,000, OP) $100,000, 3rd F. W. Gaudin Memorial S. ($6,000, FG) $57,600. SOUTHERN FIREBALL (2007 f, by Carson City) In US, 4 wins, 2 to 4, $171,789 (US SSI = 4.13): 14. 1st Manhattan Beach S. ($36,990, HOL) $66,050. Ntr Hollywood Park 4 1/2f 00:50.67 (A) 2009. BIG KISS (2008 g, by Kris S.) In US, 7 wins, 3 to 5, $95,961 (US SSI = 1.10): 28. 1st Billy Powell Claiming H. [N] ($6,960, ALB) $11,600. Keepmeinstitches, 11 wins, 3 to 6, $315,814, 2nd Roanoke S.
Privilaged (2007 c, by World Appeal) In US, Winner at 2, 4, 5 and 6, $174,890 (US SSI = 2.07): 32. 3rd Swale S. [G2] ($150,000, GP), 3rd Matt Winn S. ($10,692, CD) $108,000, 3rd Jack Goodman S. ($7,398, OSA) $60,413. 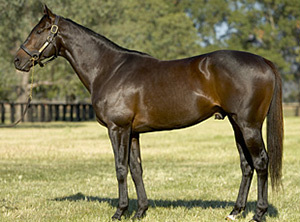 Southern Ridge (2007 c, by Skywalker) In US, Winner at 3 and 4, $187,640 (US SSI = 5.32): 12. 2nd Philip H. Iselin S. [G3] ($252,500, MTH), 3rd Long Branch S. ($17,500, MTH) $167,500, 3rd Big Brown S. ($8,400, MTH) $70,000. Mallory Square (2007 f, by Siphon (BRZ)) In US, Winner at 2, 3 and 4, $80,303 (US SSI = 1.28): 21. 3rd Florida Oaks [G3] ($170,000, TAM). At 2: 1st in a Maiden Special Weight at Santa Anita Park (6 1/2 furlongs, equal top weight, by 3, defeating Ministers Wild Cat, O Es Special, Comprador, Decisional, Wicked Fast, Boston Shuttle). At 3: 1st Malibu S. (Grade 1, 7 furlongs, defeating Marino Marini, Midas Eyes, Eye of the Tiger, Watchem Smokey, Domestic Dispute, Blazonry, Buddy Gil, Special Rate, Toccet, Zavata). An allowance race at Del Mar (1 1/16 miles, defeating Mr. Joe C, Classy Fella, Smart Again, Punchullah, Firetruck, Briteliteinthenite) 3rd San Vincente S (Grade II, 7 furlongs, to Kafwain, Sum Trick, defeating Runnin’ On Nitro, Mr. Technique). At 4: 1st Santa Anita H (Grade I, 1 1/4 miles, defeating Island Fashion, Saint Buddy, Olmodavor, Toccet, Buddy Gil, Royal Place, Star Cross). Pimlico Special H (Grade I, 1 3/16 miles, top-weighted, defeating Midway Road, Bowman’s Band, Evening Attire, Dynever, Ole Faunty). Barretts/CTBA Classic S (1 1/8 miles, by 3, defeating Excess Summer, The Judge Sez Who, Peace Rules, Pay the Preacher, Continental Red, White Buck, Grey Memo, Touch the Wire, Excessivepleasure, Hot Market, Standard Setter). 2nd Stephen Foster H ( Grade I, 1 1/8 miles, top-weighted, to Colonial Colony, by a nose, defeating Perfect Drift, Peace Rules, Best Minister, Midway Road).